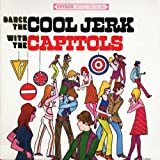 This week irocku takes you back to the end of the dance craze era with The Capitols’, Cool Jerk released by Karen Records in 1966. This song rocks like crazy. Written by guitarist, Donald Storball and featuring Richard Mitchell McDougall on keyboards and a backing track by Motown’s house band, The Funk Brothers, the song reached number seven on the pop charts and went all the way to number two on the R&B charts. Although the heyday of the dance craze era was over, it left a huge legacy with hits like; Little Eva’s, Locomotion, Chubby Checker’s, The Twist and The Dovells, Bristol Stomp. The Capitols would never came close to matching the success of Cool Jerk in 1966, never again cracking the charts before calling it quits in 1970. The song made a comeback in 1982 on the Go-Go’s album, Vacation and then again in 1990 with the release of The Go’Go’s, Greatest. Light and bouncy with a significant amount of pop, Cool Jerk reveals that the optimism of the early 1960’s had not completely disappeared. In 1966 the U.S. had not yet lost its compass and songs like, California Dreamin, Good Vibrations, and The Capitols’ Cool Jerk reminded us that it was pretty cool being a teenager in the summer of 1966. The piano bass line in Cool Jerk is a classic; you’ve heard it a thousand times before. Learn it well and you’ll use it all the time in your playing. Levels 1 and 2: Practice the G Major scale.First Week Beginners practice the Lesson. Intermediate and Advanced students practice the Groove Chart and the Lesson. Second Week Add the Exercise and Improvisation to your practice. The left hand groove on Cool Jerk is used on lots of rock songs. Make it rock! Level 3: The quickest way to rock is by learning the Groove Chart! To help with improvising, practice the F Major scale and learn the F Blues scale.First Week Beginners practice the Lesson. Intermediate and Advanced students practice the Groove Chart and the Lesson. Levels 4 and 5: The quickest way to rock is by learning the Groove Chart! To help with improvising, practice the Eb Major two-octave scale and learn the Eb Blues scale. Also learn the Eb7, Ab7, and G7 chords.First Week Beginners practice the Lesson. Intermediate and Advanced students practice the Groove Chart and the Lesson. Levels 6 and 7: The quickest way to rock is by learning the Groove Chart! To help with improvising, practice the Eb Major three-octave scale and learn the Eb Blues scale. Also learn the Eb7, Ab7, and G7 chords.First Week Beginners practice the Lesson. Intermediate and Advanced students practice the Groove Chart and the Lesson. I just subscribed yesterday, and was able to spend some time getting familiar with all that is included with learning one of these songs. I am so pleased! Between the groove chart, the exercises, and the improv that are all included, I can see how much more insight I will gain than just learning the song itself. Great job Chuck and team…thanks so much. I’ve never seen such insight! I feel this is really going to help me. just loved this nice playing, it would be nice to see some billy preston songs like Will it go round in Circles or Nothing for Nothing. The songs you suggested are great! We’ve added them to our wish list and we’ll request licenses from their publishers. The songs in our annual membership were selected to include specific rock techniques. Once we complete rolling out these songs we will add more songs to our lessons and will continue to update the site. If you would like to set up a live web lesson with one of our instructors to work on a particular song, please let us know.